Info on How to Start & Operate a NEW Vending Machine Business! Take it from a team that knows the tips of “hard earned knowledge”. 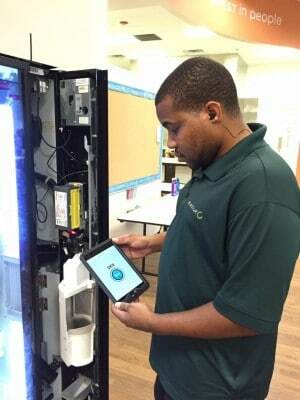 Become a Vending Entrepreneur, a vending breakroom refreshment specialist! How to start and manage your new vending machine business. Vending is a LOW COST Start Up Business! Are you interested in finding out how to start your own vending business? Part time? Full Time? 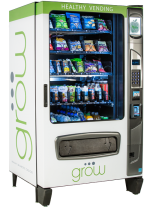 You can start your vending machine business NOW with little or no money down! ALL TYPES of vending machine business opportunities are featured in this Vending Start Up Kit. 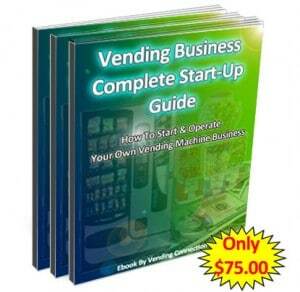 This Vending Start Up EBook is packed full of detailed information about vending businesses. Considering purchasing an existing route? Or are you starting with one vending machine at a time? **READ THIS EBOOK FIRST, Save valuable time and money BEFORE you START! **LIMITED TIME OFFER – INCLUDES FREE NEWSLETTER & FREE BUYERS GUIDE & MORE FOR – ONLY $75! The Vending Start-Up EKit© contains a complete vending start up Business Plan in a check list format. Including INFORMATION ON: Budgeting, Example Location Contract, Call Script on how to find Locations, Financing, Leasing equipment, How to figure commissions paid to locations, Vending machine servicing tips, where to find Route Management Software & All sorts of information for ALL TYPES of Vending Machines and MORE! Learn how to start your own vending business with little or no money down and Work from Home! On Sale LIMITED TIME for only $75 for this Ebook that covers all types of vending machine start up information! START YOUR “RECESSION PROOF” VENDING BUSINESS! FREE VENDING E-NEWSLETTER INCLUDED! NOW TODAY-SPECIAL PRICE IS ONLY $75! 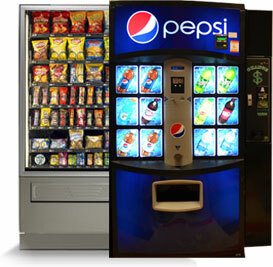 What Types of Vending Machines do you want to service? Bonus!! FREE weekly vending newsletter packed with vending gold! Delivered to you INSTANTLY Via Email! VendingConnection.com has years of experience and expertise packed in this e-book and offered to save you time and money to get your business profiting as soon as possible. Don’t accept others claims, this is right from the authority in vending. Vending Machines can operate anywhere at anytime! Each day millions of coins are poured through coin operated vending devices. It is a recession proof business! Vending covers a wide spectrum of business opportunities including; Bulk candy, Gumballs, Soda, Beverages, Drinks, Water, Snacks, Office coffee, Food, Amusement games, Arcades and much more! Each type of vending has it’s own fantastic business advantages. Automatic merchandising is one of today’s fastest growing industries. Fast, Easy and Economical. Every day 7 out of 10 people will place coins or dollars in Automatic Vending Business Machines. CHAPTER 1 – Developing your new Business – Business Name, Office Set Up, Business Planning, Business Plan and Structure of Your Business. Accounting, Business Cards and marketing, Route Management Software, Vending Website resources, QUIZ for Small Business Success. 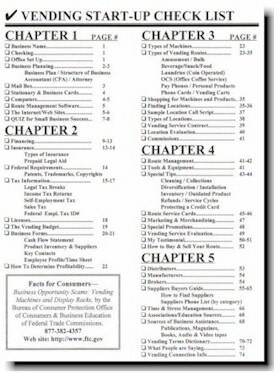 CHAPTER 2 – How to Finance your new vending company – Financing, Leasing equipment, Insurance, Types of Insurance, Federal Requirements, Patents, Trademarks, Copyrights, Tax Information, Legal Tax Breaks, Income Tax Returns, Self-Employment Tax, Sales Tax, Federal Empl. Tax ID#, Licenses, Your Vending Budget, Vending Business Forms, Cash Flow Statement, Product Inventory, Suppliers, Key Contacts, Employee Profile, Time Sheet, How To Determine Profitability for your vending business. CHAPTER 3 – What Types of Vending Machines do you want to service? Type of Machines, Types of Vending Routes: Amusement, ATM, Bulk Candy, Beverage, Gumball, Soda, Snacks, Foods, Laundries (Coin Operated), OCS (Office Coffee Service), Pay Phones, Personal Products, Phone Cards, Vending Carts and more. Also, How to Shop for Machines and Products, Finding Locations, Using Locator Services, Sample Location Call Script, Types of Locations, Sample Vending Service Contract, Location Evaluation, Paying Commissions. CHAPTER 4 – What it takes to service your new Vending route – Route Management, Tools and Equipment supplies needed, Special Tips, Technical Service Tips, Cleaning, Collections, Installation, Inventory, Outdated Product, Refunds, Service Cycles, Route Service Cards, Merchandising, Special Promotions, Vending Service Evaluation, My Testimony, How to Buy or Sell Your Vending Route. CHAPTER 5 – Who to buy from (vending suppliers) – Distributors, Manufacturers, Brokers, Suppliers Buyers Guide, How to Find Suppliers, Suppliers Phone List (by category), Time & Stress Management, Associations, Educational Sources, Sources of Business Assistance, Vending Magazines, Books, Video tapes. Free Information, Brochures and a Vending Terms Dictionary. The Vending Start-Up EKit contains over 77 pages of valuable information, including ALL TYPES of Vending Machine Business Opportunities! delivered INSTANTLY into your email! Order your Vending Start-Up EBook NOW! YOU CAN MAKE CASH MONEY DAILY WITH VENDING MACHINES!! Considering a variety of Vending Business start ups, can be Part-Time or Full-Time, you decide. PS: Don’t forget to post your New Vending Company Listing on the Vending Yellow Pages Operators Directory! in your local areas (to achieve more business locations). Looking for More Vending Type E-Books? 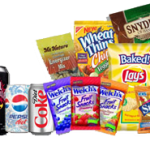 Looking for a certain type of Vending Product Supplier? See The Vending Directory of Suppliers!